The Marijuana Control Board is proposing to change and adopt regulations dealing with : The Disposal of Marijuana Waste, Quality Control of Marijuana, & Reporting of Unauthorized Access to a Licensed Facility. 1: 306.460 and 306.557 adds new subsections to allow for small amounts of marijuana be given to employees of a licensed marijuana establishment for quality control testing purposes. (a) A marijuana cultivation facility may provide a free sample of marijuana to a retail marijuana store if packaged in a sample jar containing not more than three and one-half grams of marijuana and protected by a plastic or metal mesh screen to allow customers to smell the product before purchase. with more than one ounce of marijuana per month free-of-charge for the purpose of negotiating a sale. (2) destroy the marijuana sample after use and document the destruction in the retail marijuana store’s marijuana inventory control system. (6) the licensee maintains copies of completed forms required under (5) of this subsection in accordance with 3 AAC 306.755. (7) marijuana that leaves the licensed premises must be packaged in opaque, resealable, child-resistant packaging and clearly marked or labeled “for quality Control” and the packaging must be designed or constructed to be significantly difficult for children under five years of age to open, but not normally difficulty for adults to use properly. This whole subsection is created to allow for the ability to test the quality of the marijuana being grown in a licensed facility, by allowing up to an ounce a month to be tested by employees. It must be tracked in the inventory tacking system. Consumption of the samples may not happen on the licensed premises. Any employee who receives a sample must complete a form that will be created by the MCB, which will be maintained by the licensed premises as part of their records. It must be packaged labeled “For Quality Control” and be child resistant, resealable and opaque. I think this is a much needed addition to the regulations. I do however think that it should read,” (1)Samples provided for licensee’s, employees, or agent’, how this is worded currently could prove to be problematic, especially for a limited cultivation with no employees. I’m wondering what the forms required and created by the MCB will contain? Will they have questions about quality to ensure that was what it was used for, or will it just require types, batch numbers, amounts and leave the quality questions to the cultivator? (7) marijuana that leaves the licensed premises must be packaged in opaque, resealable, child-resistant packaging and clearly marked or labeled “For Quality Control” and the packaging must be designed or constructed to be significantly difficult for children under five years of age to open, by not normally difficult for adults to use properly. These are the same restrictions and allowances put forth for cultivation facilities. I do believe these are absolutely needed for the quality assurance that both cultivation and production need. I also believe that (6) is meant to say “production facility” and not cultivation facility. I also think that it is absolutely important for some sort of allowances also be made for retail establishments. This is so they can accurately assess a consumers needs when asked. Also to provide an assurance to the retail establishment that they are purchasing the quality of cannabis they want to present to their customer base. (b) If a sample of marijuana fails a required test, any marijuana plant trim, leaf, and other usable material from the same plants automatically fail the required test. The board may approve a request to allow a batch of marijuana that fails a required test to be used to make a carbon dioxide- or solvent-based extract. After processing, the carbon dioxide- or solvent-based extract must pass all required tests. 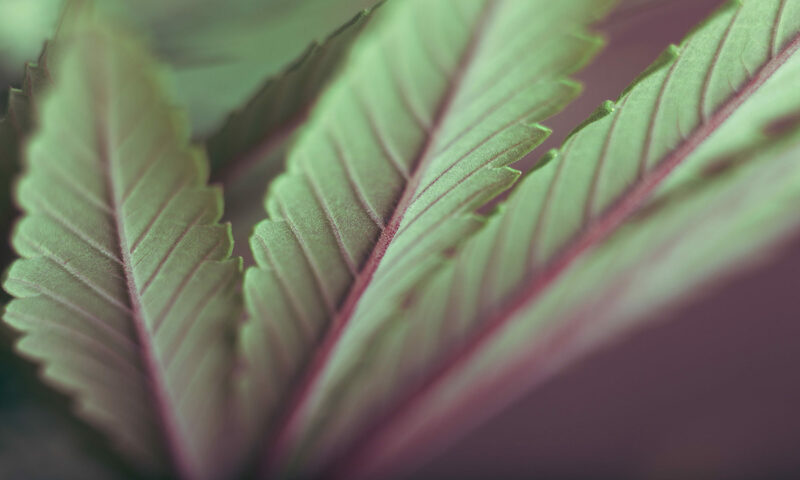 (c) If a marijuana cultivation facility or a marijuana product manufacturing facility petitions for a retest of marijuana or a marijuana product that failed a required test, the board may authorize a retest to validate the test results. The marijuana cultivation facility or a marijuana product manufacturing facility shall pay all costs of a retest. (3) Notify the director in writing within 24 hours if the amount destroyed total more then one ounce. (b) If a sample of marijuana fails a required test, any marijuana plant trim, leaf, and other usable material from the same plants automatically fail the required test. The DIRECTOR may approve a WRITTEN request, ON A FORM PRESCRIBED BY THE BOARD, to allow a batch of marijuana that fails a required test to be used to make a carbon dioxide- or solvent-based extract. After processing, the carbon dioxide- or solvent-based extract must pass all required tests. (c) If a marijuana cultivation facility or a marijuana product manufacturing facility SUBMITS A WRITTEN REQUEST ON A FORM PRESCRIBED BY THE BOARD for a retest of marijuana or a marijuana product that failed a required test, the DIRECTOR may authorize a retest to validate the test results. The marijuana cultivation facility or a marijuana product manufacturing facility shall pay all costs of a retest. (3)this will require that the DIRECTOR be notified within 24 hours in WRITING when any amounts over an ounce are destroyed at once from a harvest batch or lot. This is to make sure that it isn’t slipped into circulation as a black market product, or go home with a licensee or employee as its a rather large amount to destroy. (b) This gives the Director authority to approve a request that is submitted on a specific form created by the board, to send the failed marijuana to be turned into a carbon dioxide or solvent-based concentrate. (c) this also gives the authority to the director to approve or deny a request that is submitted on a specific form, created by the board, to retest, to validate a failed test. The ability for the Director to deny or approve these requests will streamline the process in theory. This will mean no more waiting on the board to make the call. The new forms will also stop some of the confusion that may be happening on what is required information from the cultivation or production facilities when requesting these tests or actions. (a) Each licensee, employee, or agent of a marijuana establishment shall display an identification badge issued by the marijuana establishment at all times when on the marijuana establishment’s licensed premises. (3) continuous video monitoring as provided in 3AAC306.720. (4) describe the actions to be taken by a licensee, employee, or agent of the marijuana establishment when any automatic or electronic notification system alerts a local law enforcement agency of an unauthorized breach of security. (d) A marijuana establishment shall use ecommercial grade, non- residential door locks on all exterior entry points to the licensed premises. (e) A marijuana establishment will notify the Alcohol and Marijuana Control Office as soon as reasonable practical and in no case more the 24 hours after any unauthorized access to the premises or the establishment’s knowledge of evidence or circumstances that reasonably indicate theft, diversion or unexplained disappearance of marijuana, marijuana products or money from the licensed premises. Let AMCO know within 24 hours of a break in or suspected theft of Marijuana, marijuana products or cash. I think that if a police report is filed then that should be sufficient, and maybe ask that much like with insurance, have the licensee send in a copy of that report to AMCO. Enforcement is way too busy to do any investigating when there are actual law enforcement already doing that job. (3) other waste as determined by the board. (2) keep a record of the final destination of marijuana waste made unusable. (2) non-compostable materials including paper waste, card board waste, plastic waste, oil, or other wastes approved by the board when the mixed material may be delivered to a permitted solid waste facility, incinerator, or other facility with approval of any applicable local government entity. (e) If marijuana or a marijuana product is found by, or surrendered to, a law enforcement officer including a peace officer or an airport security officer, the officer may dispose of the marijuana or marijuana product as provided in this section or by any method that is allowed under any applicable local ordinance. (B) More then once ounce of marijuana or marijuana product. (b)(3)-(5) allows for the licensee to determine if any marijuana is unfit for sale or consumption, for example if it were to fall to the floor, among dust or glass, to be destroyed as waste along with adding expired marijuana products to the list. (c)(2)-(3) adds the requirement of adding a record in the inventory tracking system stating the final destination of waste, and also requiring that the board be notified IMMEDIATELY in writing if requesting to dispose of waste more then an ounce of flower or gram of concentrate of marijuana or marijuana product.